Sports still eligible for registration for spring 2019 include 4v4 flag football, indoor volleyball, soccer, ping pong, softball, ultimate frisbee and extreme dodgeball. VSU intramural sports kicked off its spring 2019 semester on Jan. 28. For Director of Campus Recreation Shawn Phippen, it begins another semester of “a great tradition” of intramural sports at VSU. That tradition dates back to 2014, when VSU won the first of three straight flag football national championships. Phippen has overseen a lot of changes to Campus Recreation, including the addition of turf fields to minimize maintenance of grass and reduce the number of cancellations during the season. Wyatt Lee, VSU’s new coordinator of competitive sports, shared that sentiment, as he has noticed numerous studies of student participation in intramural sports dropping over the years. 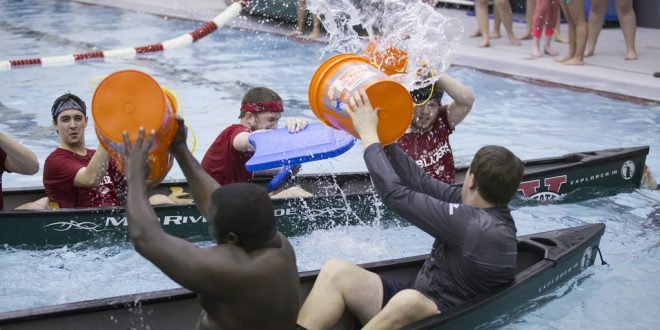 Lee, along with the rest of Campus Recreation, has gone about increasing participation in a few different ways. So far this semester, Lee has attempted to go directly to students and find out what they want from their intramural experience. Campus Recreation also proposed the inclusion to intramural e-sports, or video game competitions, to try and increase appeal to a wider audience of students who may be interested in participating. Lee mentioned that it had come up in discussions with Campus Recreation, but for now, more research into interest and startup costs would be required. Phippen has been working to create even further interest by creating events centered on intramural sports. This includes working with VSU Athletics on hosting the IM basketball championship game at the P.E. Complex, where students can watch the two finalists for each division compete for a championship and enjoy other festivities. More details for this event will be announced at a later date. Overall, Phippen and Lee shared the same sentiment that intramural sports are an integral part to a campus community and that participation on campus matters. Intramural sports are available to all fee-paying students, faculty, staff and alumni. Sports still eligible for registration for spring 2019 include 4v4 flag football, indoor volleyball, soccer, ping pong, softball, ultimate frisbee and extreme dodgeball. Those interested can register online at IMLeagues.com. Written by Kyle Grondin, Staff Writer. Photo Courtesy of VSU Flickr.